Pork Slope | Oh No! Not Another NYC Food Blog! Pork-centric casual sandwich restaurant/dive bar in Park Slope from the mind(s) behind Talde and Thistle Hill. 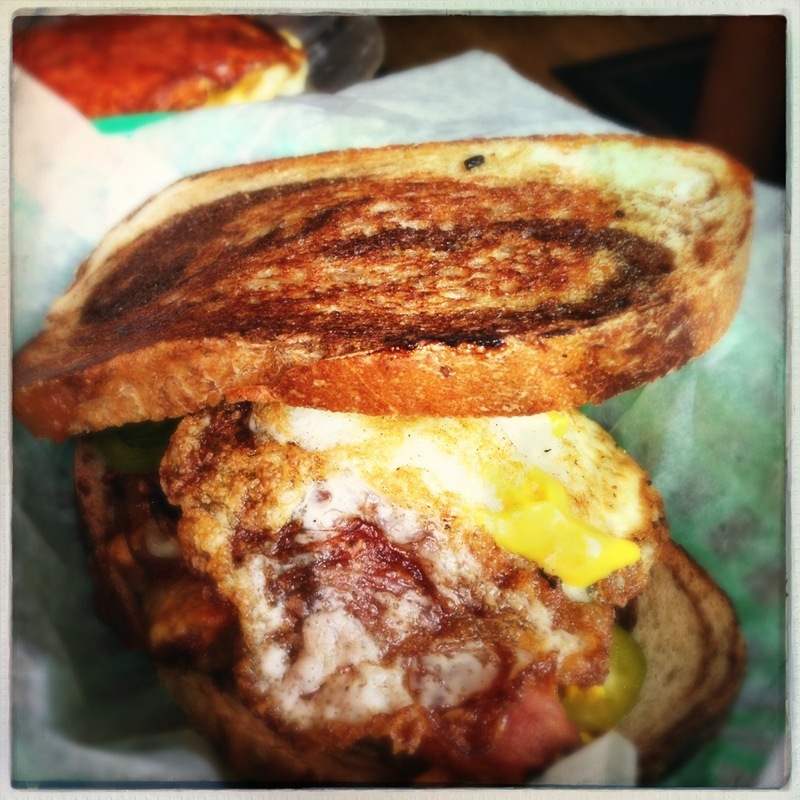 My DH had the Mother Porker – a classic porky melt (cheddar rolled pork bratwurst, grilled onions & mustard) with bacon, egg and pickled jalapeño – This sandwich was a flavor bomb of porky goodness. Great sausage, killer balance, and an egg. Lots to love here. 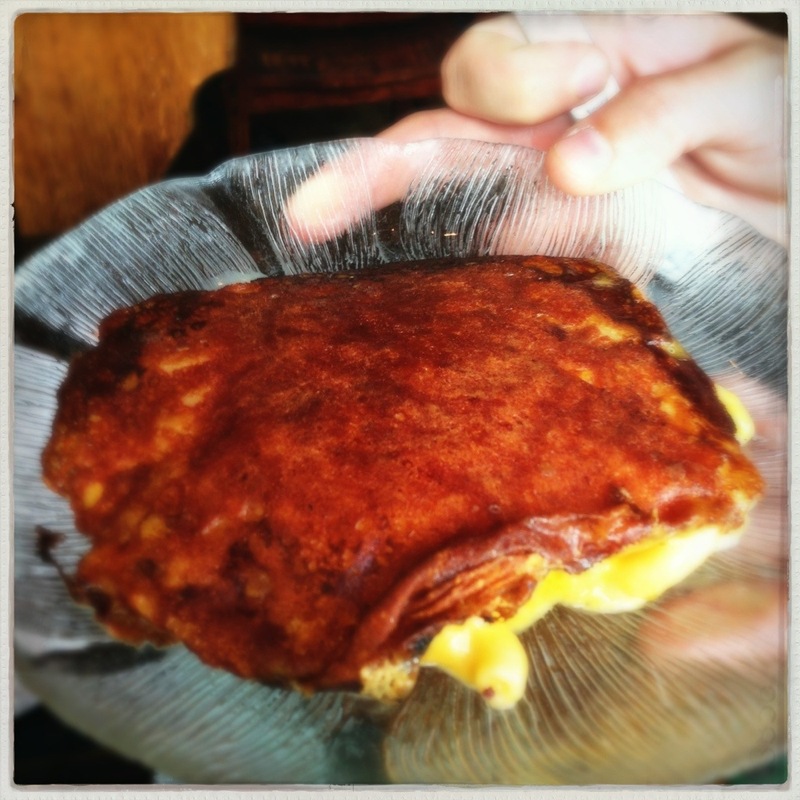 He also had the Crispy Mac & Cheese – Delicious, with a lovely layer of almost-burnt cheese. 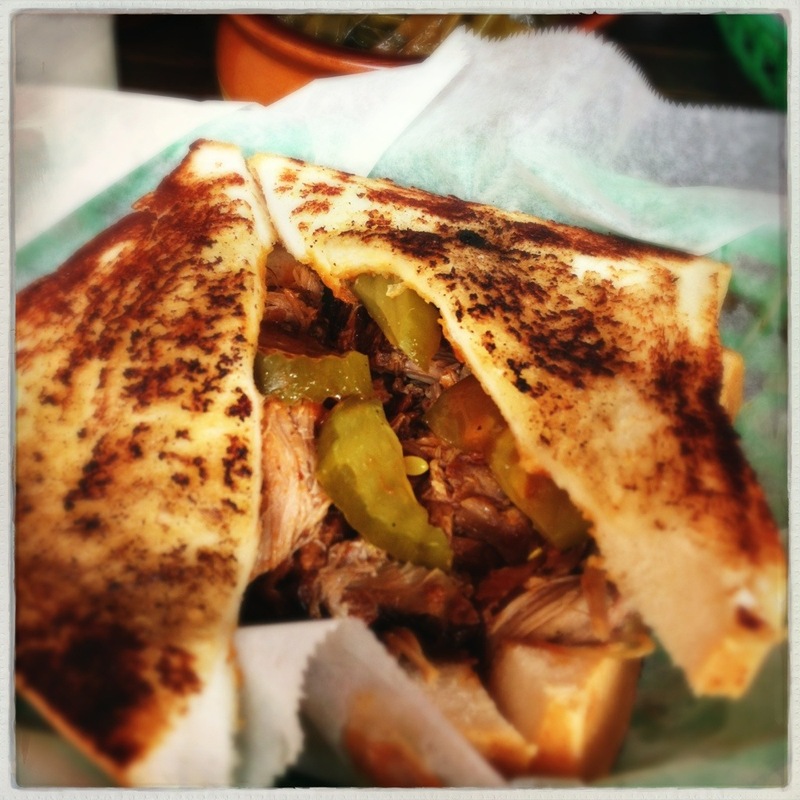 I had the Pulled Pork Sandwich – 24 hour brined & hickory smoked pork shoulder with BBQ sauce and pickles – the Texas toast came out a little too wet for me to eat everything as a sandwich, but the meat was killer. The porcine gods are smiling. 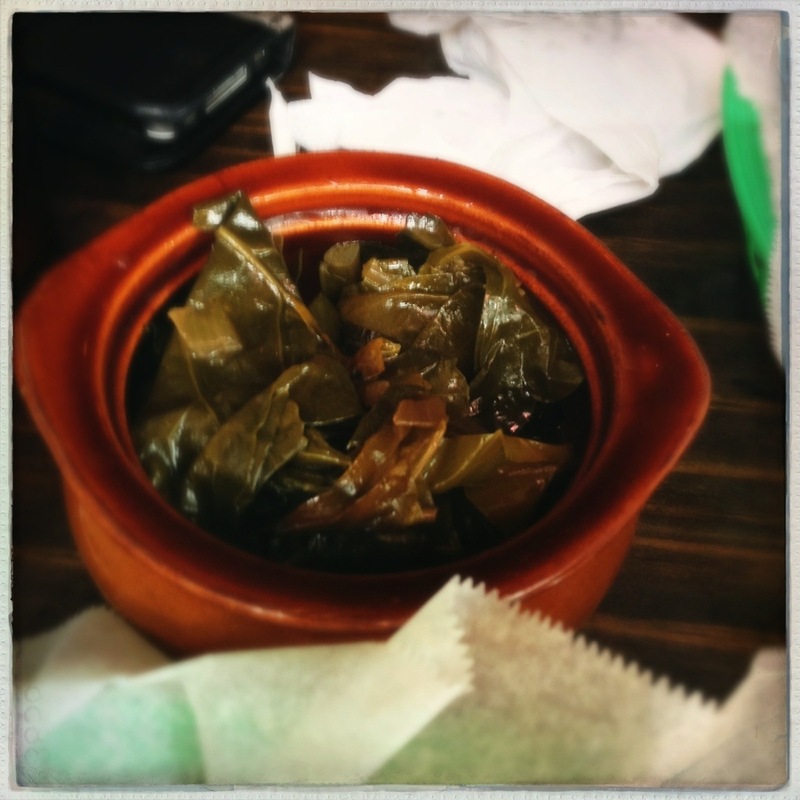 I also had the Smoky Collard Greens – I had high hopes, given Chef Talde’s prowess with other green veggies (I’m thinking specifically of his brussels special at Talde) and I was not disappointed. Vinegary, smoky, cooked until slippery and luxurious; this was one tasty bowl of greens. 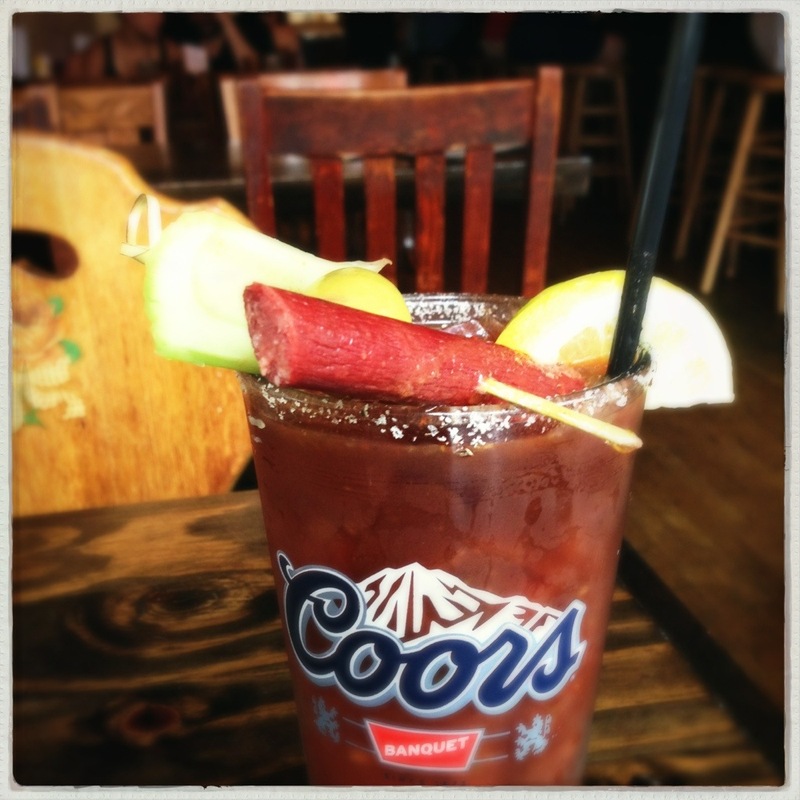 My DH continued his citywide bloody mary sampling with a Michael Collins – Irish whiskey and fresh house made Bloody Mary mix with a house smoked rosemary and sea salt rim – This was a crazy good bloody. I think Char No. 4 is still his favorite, but this version is right up there (with the more Asian-inspired version served at Talde) in the pantheon of greats. I had a Brooklyn Mule – Brooklyn Republic vodka, ginger beer & fresh lime – This drink was everything I wanted it to be – light, refreshing and a nice summer sip. 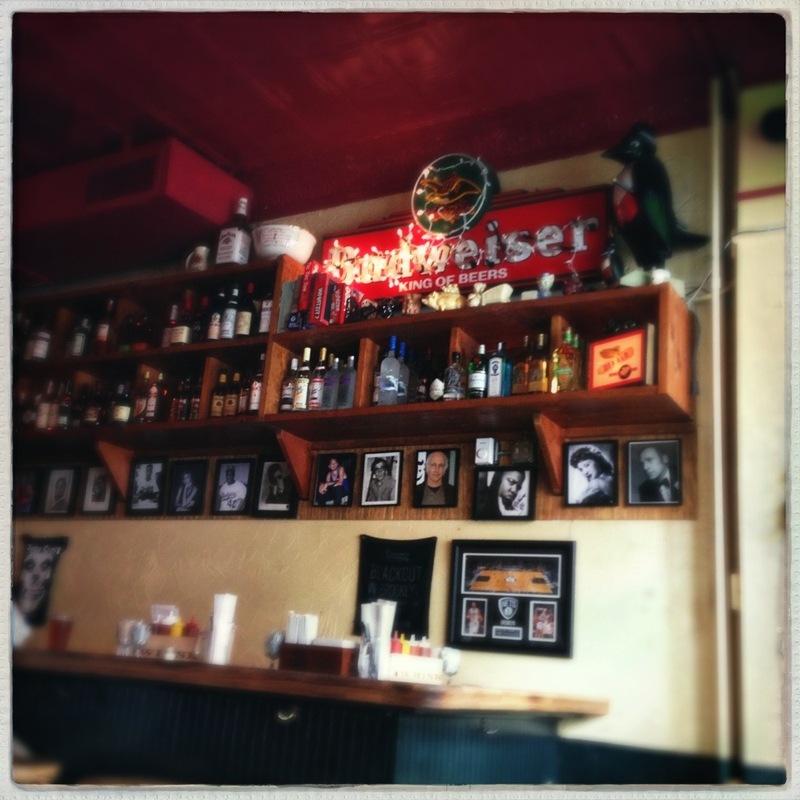 Pork & Brooklyn -centric decor ala local punk dive bar with great music (if you like a heavily punk soundtrack played at a comfortable volume for listening an talking). Yum. This is one of those spots that successfully straddles the line between local hangout and somewhere worth taking the train to visit. It feels homey without being exclusive and simple enough to be a no-brainer weeknight choice for those days when you don’t want to think too hard and just want something good.